Sorry folks! Just realised that 3 out of my last 4 posts were rather morbid so decided to get back on track with telling you about one of the more bizarre stories I’ve read today! 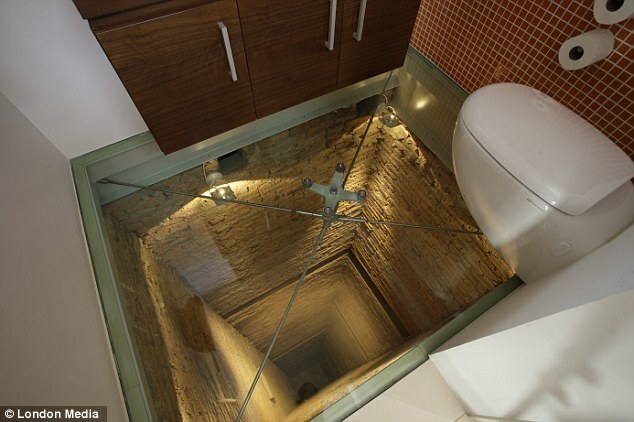 For many people, the idea of sitting on the toilet while looking down into a vast lift shaft is the stuff of nightmares. For the owners of this luxury penthouse in Guadalajara, México, it’s something they have to endure on every call of nature! When carrying out simple tasks such as using the toilet or brushing their teeth, the owners are able to look down through the glass floor to the bottom of the shaft. Imagine going in and switching on the light for the first time. An effective cure for constipation I would suggest??? Posted on May 3, 2012, in Trivia and tagged bathroom, constipation, glass floor, Guadalajara, lift shaft, Mexico, toilet. Bookmark the permalink. Leave a comment.